Date lines added for each of the client's grandchildren's birthdays. Additional info on this dial can be found at Sundials in Ireland. 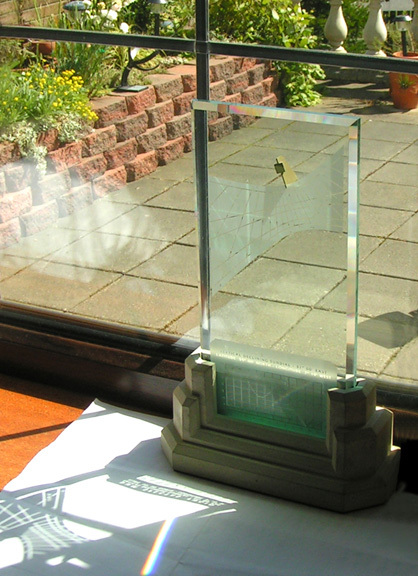 This is the first international Spectra Sundial ever made.